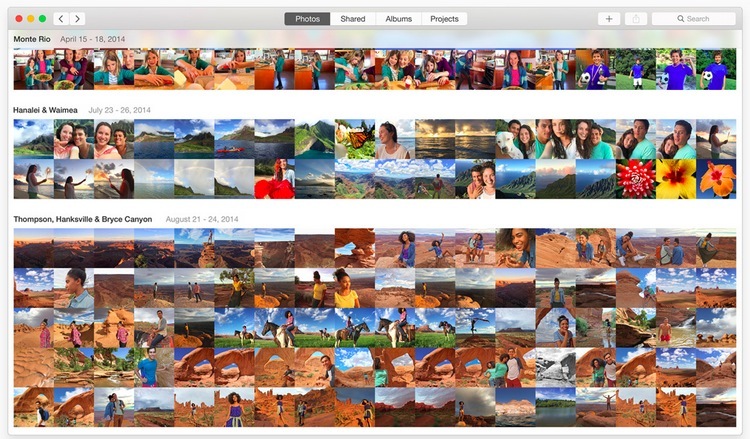 Mac users coming from iPhoto may wish to move an iPhoto Library to the new Photos app. While importing is an option when first setting up the Photos app in OS X, many users many have skipped the initial setup screens and missed that opportunity to import pictures and images into Photos from apps like Aperture and iPhoto. Fortunately, it’s very easy to add an iPhoto library into the Mac Photos app at any time. Much like making an entirely new Photos library in OS X, you’ll need to use the Option key during application launch to be able to migrate an iPhoto library into Photos app. If you already have a busy Photos library, you’re going to be working with two different image libraries now, which is why it’s generally best to allow Photos app to pull in your iPhoto or Aperture library on first launch. If you’d like to merge two different libraries, well, at the moment, there is no way to directly perform a merging of an iPhoto library with a Photos library without manually intervening and importing photos on your own. You can do that through the File > Import menu item, or by dragging and dropping images from one library into another using the file system. 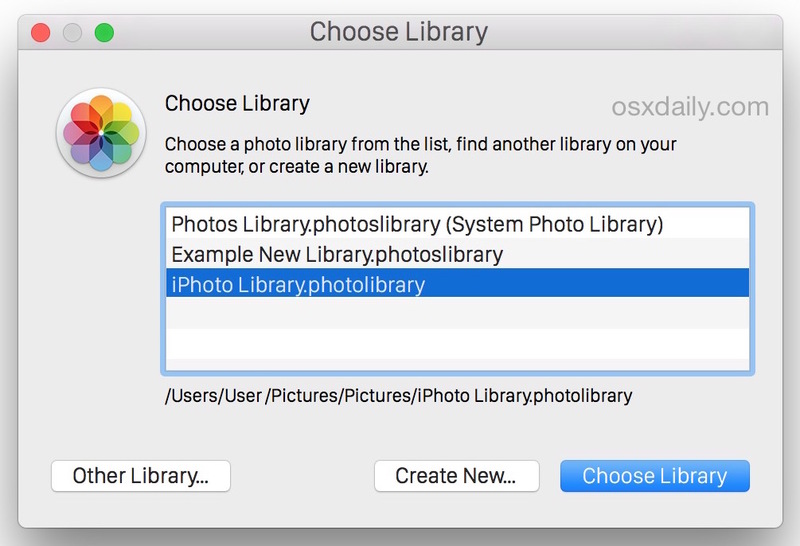 Being able to directly merge libraries together would be pretty useful, so it’s possible that such a feature could be introduced into future versions of Photos for OS X. In the meantime, you can always create new libraries and use separate libraries by switching between them by using the Option key on Photos app launch. Thanks this is helpful because I also skipped the beginning. Also, I do not recommend iCloud Photo Library, it makes no sense to me. Anyway, I wish I could merge two libraries together in an easy fashion, if I recall Aperture allowed us to do this but neither iPhoto nor Photos does allow merging of multiple photo libraries without, as you say, dragging and dropping the files from the Finder into the Photos app. That is not an elegant solution. This may be helpful for you. Looks like a good app, I wonder if they will update it for Photos app? I really miss “events,” which was a nice combination of auto-sorting by date and user curating. They got shifted over to albums, but now I have to keep my albums in order. We have way too many photos for the standard, date-organized photo stream to be of any value at all. Sigh. This hasn’t happened for me. Its moved all my events in iPhoto into Photos but not put them into albums so they are currently mixed up which is really annoying. If I knew this was going to happen I wouldn’t of bothered migrating them over. Do you know of any way to fix this please? if you go to “view” and chose “sidebar” you can scroll down the sidebar and you will see “iPhoto Events” … they are all still sorted there. Heather, you’re a lifesaver! Thanks! If you want to move iPhoto to the new photos you have to number your events from 1 to however many events you have. I did this on a MacBook Pro after updating to 10.10.3. I used the manual option, since the iPhoto library seemed to be missing. It ended up actually being in a file called Photos (which looked like the old Pictures folder in the finder. It imported successfully all pictures newer than 2004, but 2000 older pictures failed to Import. The error message said that it didn’t recognize the metadata. Any suggestions? You could try setting a search parameter in iPhoto based on the dates you want to import. Then export these out of iPhoto to another folder. Then open the photos app and import your selected folder. Worked for me! 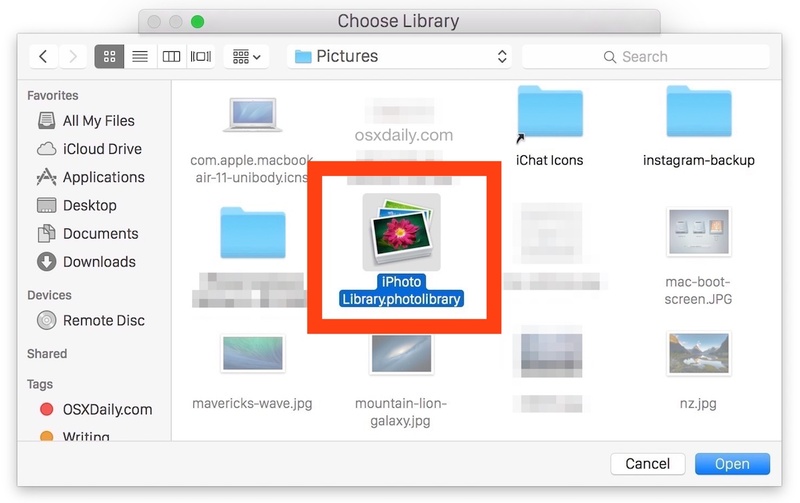 An easy way to merge libraries is to use iCloud Photo Lib. It will retain all metadata, etc. There is no way to do this with iPhoto unless you buy 3rd party software to do so. Photos is best kept alone in my experience. The problem with iCloud Photo Library is that if you are pressed for space on an iOS device (like every iPhone I have ever seen) and on your Mac (like every MacBook with SSD I have seen), then your disk space disappears due to iCloud duplicating the photos and then it stops storing photos in iCloud anyway. Plus, to even use it, you have to pay an extra $50 a year to use iCloud Photo Library at any meaningful level of storage. I hope Flickr builds a plug-in for Photos app that allows syncing to Flickr. Flickr offers 1TB (A TERABYTE, free, yes seriously) of free storage for photos, full resolution, no hassle. Free 1TB! That’s huge! Meanwhile Apple is offering 5GB? 5GB is not even enough to backup a single iPhone! But who in their right mind would want to move from iPhoto to the complete bit of garbage that is Photos. I agree. Several albums have not populated and ALL of my identified faces are now lost. I spent hours identifying names and faces. Yeah. It’s crap. I can’t find any of my photos. It says that it’s already migrated my library but nothing’s there. I’m afraid I’m going to have to import everything and of course, then I lose all my Albums. Does anyone know how to get to the original source/file location? In iPhoto’s, I used to go to File-> File Location but there’s no option I can see in Photos. I just discovered something of interest in the system folder… /System/Library/CoreServices/Photo Library Migration Utility.app. A novice here. :) but, I just moved my iPhoto library to external drive for space concerns. Doing it I learned that both apps use this library but doesn’t duplicate your pics. Also, for those who still prefer iPhoto, you can still use it. However, If you edit pics in one of the apps, the edited pics stay in the app you do it in. So you have to make your choice and stay with it. Photo streaming will still go to your iPhoto library and either app can access them. I thought the Photos app was suppose to replace iPhotos app, why do I still have both apps in my applications folder ? A question about the libraries. Just imported from iPhoto into the Photos app and turned on iCloud photos, and used the optimize for device setting. I’ll be getting my new MacBook on Wednesday. Will I need to manually move my photo library to the new MacBook, or can I just launch the Photos app on the new MB and have them download from iCloud? This link appears to answer my own question. By using hard links, I won’t need to move my iPhoto library over. I’m still not sure whether I should try an move my Photos library over or just rely on iCloud. Any thoughts? I’ve been using iPhoto for genealogy, and so my photos are all historical, and also don’t include locations. Photos, which seemed to ‘replace’ iPhoto – having scared it out of my Dock (except, i just found iPhoto lurking) still seems to have the date editing tool (still a bit buried), but I can’t to the life of me find the location mapping editing/adding tool. The Photos help/support section seems to pride itself on auto-adding GPS for your new, modern, ideal-family style holiday glossy snaps, but for historical images, that are scanned in, where the date is incorrect, and the location is unknown, it doesn’t cover it… simply saying that IF you have GPS on your camera, then it will work, or IF you’ve added/altered it (but doesn’t say how). Can you say what you mean by “date editing tool” and where/how you found it? If by this you mean you figured out how to sort photos in Photos by date in reverse order, I’d love to know how. None of my shared photostreams are showing up in the Photos app. I have icloud photo sharing turned on… on my iPhone and on my Macbook Pro. When I was running 10.10.3 Beta my shared photostream showed up in the Photos app. Now, they have mysteriously disappeared. When I try and create a new shared album, it will appear on my iPhone but not in Photos. In fact, even when I try and invite myself I’m given an error message when accepting the invitation on my Macbook Pro. I really hope you can help me… my photos from iPhoto seem to have disappeared. After installing the update to 10.10.3 Photos didn’t give me the option to import my old library. The issue is my old library seems to have vanished. I spoke to apple support and they went remotely into my computer and search for the library and any photos that would have been in it and couldn’t find anything. They told me I can try a data recovery program but I don’t even know what to look for. I’m freaking out because I can’t find these pictures and it’s years of memories I don’t want to lose. I didn’t have my photos backed up with time machine or icloud before the update like an idiot. Me too! Apple support searched everywhere for the 1,500 zapped photos! Even those in image files never imported into iPhoto! I have the same problem. I did the iMac upgrade and Photos program appeared and my iPhotos program won’t open – has a big x on it. I am guessing the photos are still on my computer, I just don’t know where to find them. Apple needs to find a way to make Photos find the photos that were in iPhotos. Why they changed to this watered down version is beyond me??? I do fortunately have my photos backed up on an external hard drive – but I don’t want to download them onto my computer if I already have the photos somewhere on my computer. I am an Apple fan, but am very frustrated by this upgrade, leaving me without my photos. Please let me know if there is a fix somewhere. If you find out, let the rest of us know!! I downloaded El Capitan yesterday and am in the same state. I can’t access my photos!! C’mon Apple…Don’t let us down now!! Oh, I also forgot one thing. The iphoto app will no open. It has an X through it and says I need to update the app in order to open. The app only exists in the purchases section of the app store and if I try to update it, it doesn’t work. I have a similar issue to AnneMarie. My iPhotos library is on an external hard drive, and Photos tries to migrate (via option key) it times out 8% and says it needs 484GB of memory! My computer doesn’t have that much memory in the first place. Is it trying to duplicate my entire album? Why can Photos use the external drive as iPhoto did? My copy of iPhoto is now ‘X’ed out too. were you able to solve this problem. still no luck for me..
were you able to solve this problem. I am having the same issue… times out at about 8% and says i need around 200GB more space. what the crap?! really frustrating! Hi all. I’ve got the same problem. 8% of converting is done for 12 hours and then asked 1,232 Gb of additional space without any options. What I have to do to see my pictures again? Hi there. Same problem. I don’t have enough space so my iPhoto library is in my external disc. I had trouble importing to photos. I think because of the space issue. So my question is can I set up my photo library in external disc. Need help? I gave up using iPhoto in favour of creating my own folders and using Darktable, but I am curious about Photos…. except that when I open it, and press edit….. nothing happens. Like, I can see in the corner the options I theoretically have, greyed out, but when I click on them absolutely nothing happens at all. So… uh, what? Are any of you weirdly unable to edit anything on there as well, or is that just me? I am having the same problem. Any suggestions would be VERY appreciated. I am wondering if anyone knows how to edit a photo in a different application, like Photoshop, from the new Photos? I do not see where I can change it to open in a different application or make it automatically do this. This is fantastically annoying. I am trying to get my iPhoto library from my one laptop to another and nothing works well. Most of the time, Photos just refused to import the images, which work fine in any other program, but Photos can’t import it. EVEN WHEN they were exported by Photos, or copied or dragged or any other way. Just does an error. Then other times it works, but it’s a huge waste of my time. Tried AirDrop and it refuses to transfer the library and I don’t have a backup disc big enough, so that’s the only other option I see. I don’t know why Apple just can’t do things normally. Everything always works perfectly on an Apple until that day it doesn’t and then everything goes straight to hell. Cannot open iPhoto into the updated Yosemite; new Photo has migrated only some of the iPhoto files; the majority of the iPhoto file photos appear to have vanished. Fortunately, I have a backup of the Poodle history visuals; not so all the family photos. Likely the lost .jpg/.gif images are lurking in the locked-up iPhoto–let’s hope Apple–PDQ!–supplies a better fix for this, because none of the advised fixes work. Use iPhoto and you’ll be able to access your old iPhoto album still, as long as you didn’t delete it. @sg I’d be delighted to use iPhoto, but it cannot open into the updated Yosemite context. At least, I haven’t been able to open it there. Can you advise how to do this, please? Well, I managed to do what was advised above, and managed to open iPhoto through Terminal, and discovered a cleaned-out iPhoto–hundreds of older photos have vanished! All that’s on iPhoto are the 100 or so which were sent over to Photo. The other 1500 or so appear to have disappeared! Vanished! Or are they hidden somewhere? TALKED TO APPLE HELP THIS MORNING, AND SEARCHED THE ENTIRE COMPUTER AND THE LOST PHOTOS ARE TRULY LOST NEVER TO BE SEEN AGAIN. SO…IF YOU HAVEN’T YET UPGRADED TO 10.10.3, BACK UP ALL YOUR IPHOTO PHOTOS BEFORE UPGRADEING SO AS NOT TO LOSE THEM WHEN PHOTO SUPPLANTS IPHOTO. APPLE HELP TOLD ME THIS HAS ONLY HAPPENED TO A FEW PEOPLE, AND I ANSWERED HAHAHAHAHAHAHAHA! SEVERAL OF THE FEW ARE ON THIS LIST! Emily, I am sorry to hear this, but glad you talked to the official Apple Support channel as they can be helpful. I would be appalled if my photos were lost in the process of updating software, that is hard to imagine being an acceptable risk during a simple software update. I hope you have good backups of your pictures, photos are easily the single most important single piece of data many of us have, it’s memories! Long search supervised by an Apple tech. support yesterday–together we searched my iMac high and low for the 1,500 photographs zapped when upgraded the operating system for virus protection. Have about 150 surviving photos. This Yosemite 10.10.3 upgrade also vanished photos in image files not obviously related to iPhoto. It’s appalling. I do have backup of images related to my history website. I do not have a UTD backup of grandchildren photos. HOW IN THE WORLD DID APPLE MANAGE SUCH A BIG FAIL, A COMPLETE FAIL, AS THIS ONE??? APPLE USED TO BE THE MOST CAREFUL AND INGENIOUS ETC. ETC. As if to add insult to injury, Apple sent a “how did we do?” e-mail this morning, in which it was impossible to report (a) very helpful tech. support (b) in a hoplessly- incompetent context. The INEVITABLE implication of my NEGATIVE report was that the tech. was hopelessly incompetent. NO! He was very competent, in a horribly compromised situation. Pablo–Mac tech and I even looked in my iTunes storage for the photos, he said this was the last resort–evidently sometimes the 10.10.3-zapped photos have migrated there. I have no music in iTunes, but a *lot* of audiobooks, and he seemed very relieved that these were still there. Thus, my intuition told me that some people have lost audio files as well as images files in this fiasco. I can’t help but feel that those 1,500 lost photos are *somewhere* in the huge unexplored universe inside my iMac, but if the Mac tech can’t find them… Alas! Alack! I am betrayed by Apple. Connect the drive and look at the partition in Disk utility to see what the disk format is. DO NOT ERASE it. Guessing here, but I bet the external drive is probably FAT or NFTS partitioned for Windows compatibility, which OS X can read, but is not the preferred Mac HFS+ format. Photos probably requires HFS for various features. Then copy your photo library to that new drive. Yes, it formatted NTFS. I’ll go get another and see if that will solve the problem. Thank you for your help! Got a new mac formatted external drive and it worked. Thank you, guessing! On the external disc – did u put your photos or a Time Machine-copy? “name.photoslibrary_prepare” to the external drive. I’m kind of scared that the actual Photos Library will be saved to this external drive. I’m doing an import on a 111gb iPhoto library on a secondary machine, which I connected to from this machine. Fingers crossed it will actually result in a file that appears on _this_ computer, not _that_ one. I’m in the process of moving my iPhoto Library photos into the new Photos App. I have my iPhoto library stores on an external hard drive. I simply found the IPhoto location in my finder then dragged & dropped it onto the Photos App….it’s currently at 8% completed & now I’m concerned about losing my photos after reading everyone’s posts on here. Fingers crossed!! Has anyone else attempted to do it this way? I figured it’s just copying them across & I’ll still have my iPhoto library on my external Hard drive, right? I’m having a new problem with this whole Photo/iPhoto thing. My pics all migrated over when Photo was uploaded and while I hate it, I have gotten everything all sorted out; however, yesterday, when I tried to add a photo to Photos (I was downloading a pic from FB which I do frequently), iPhoto is suddenly opening and the picture won’t import to EITHER program. Has anyone else had this happen? I have no idea why it started or how to stop it. After performing a Yosemite clean install I end up with an empty Photos app and no iPhoto. Following your instructions I copied my old iPhoto library from a backup to my new Pictures folder. I relaunched the Photos app holding down the Option key and selected the iPhoto library. Photos app successfully imported my photos. My concern is that within the Pictures folder I now have a 16GB iPhoto library AND a 16GB Photos Library, which together take an awful amount of space. I wander if I can safely erase one of the libraries of if I have to keep the duplicated libraries forever? After 12 hours I’m at 12%. I could invent a time machine and retake all the pictures faster. This stinks. And it sounds like I’m going to lose pictures in the process. Nice Apple. Luckily nobody cares about their photos so they won’t notice. Upgrade = Downgrade. I’m trying to move my photo library to my hard drive, but I get this error. The Finder can’t complete the operation because some data in “Photos Library” can’t be read or written. I appreciate your help. However, my iPhoto Library was not an option in either of the choices you gave. I can’t open iPhoto. It said I needed to update my App but the app wasn’t avail in US. I haven’t used Photo at all yet. If I uninstall it and re down load do you think it will prompt me and find the iPhoto Library? Any other ideas on how to access my photo library? Ok…just read everyone’s notes here. First of all, I’m not “techy” so some suggestions are way out of my comfort zone. I think every single person here needs to contact Apple and complain. OMG, I wish I had not loaded up El Capitan. I want my photos back!!!!! I did a backup to an external drive just before updating (that’s a laugh) but I don’t have the expertise to reload my old OSX with my IPhoto library and get rid of El Capitan. Is there a way to merge multiple libraries into one? For example you have multiple libraries and would like to have one centralized library? Can this now be done? Really you are going to put your head in the jaws of another incompatible Downgrade/”Upgrade”. What’s that P.T. Barnum said about the American Public? I had an old macbook pro that was on the fritz. So I purchased a new mac air. The day I purchased it (about 30 days ago) they transferred all my files and data. Today is the first time I tried to access iphoto and it’s telling me it doesn’t exist. 5 years of photos are not applied to Photos. I also can’t seem to find the “iphoto library” option, and I can’t locate the backup in the icloud. I have no love for iphoto – but I want my images!!! Why weren’t they transfered along with all my other data? Are they just hiding somewhere so I have to access the specifically? Please – tell me this has happened before and that it’s totally retrievable? Thanks! But the “genius” at my local Mac Store told me that Apple will no longer support iphoto and if i try to convert my iphotos to Photos as per the instructions above I will loose all of my organization. I have tried to move my photos file by file but it appears that ” photos” does not recognize images that were stored in iphoto. WHY? What I worry about is that Mac has created a situation that will ultimately eat my organization if not my cherished images. That would be like dumping thousands of photos into a big box without any way to locate the photos we are seek. Why is Apple abandoning iphoto users???? But I’ve got a problem :/ I’m trying to transfer a library from an external hard disk and I followed all the steps as you said but as soon as I remove the external hard disk all my photos disappear. Any idea how I can keep my photos on my laptop? Sahar, this is about migrating iPhoto libraries into Photos app. If you want to store your photos library on another hard drive, copy it to that drive, and point the library there. The two are unrelated. I have tried to follow this instruction to the letter. Unfortunately, when I hold down the ctrl key and am presented with the pop-up box shown, my iPhoto library is not there. So I selected “other library” as I know where it is stored but I CANNOT select the iPhoto library – it is greyed out. When I try to upload my iPhoto library from my backup file I get this error. Photos was unable to repair permissions on your library. I just imported my iPhoto library onto my new mac which now only has photos…but when i open photos and hold the option key and then go to the iPhoto folder it will not let me click on it to import…anyone know how to fix that problem? I have just upgraded to OS10.11 El Capitan and imported my iPhoto library successfully into Photo using the above instructions. Only problem is I was using iPhoto Library Manager to manage my multiple iPhoto libraries. 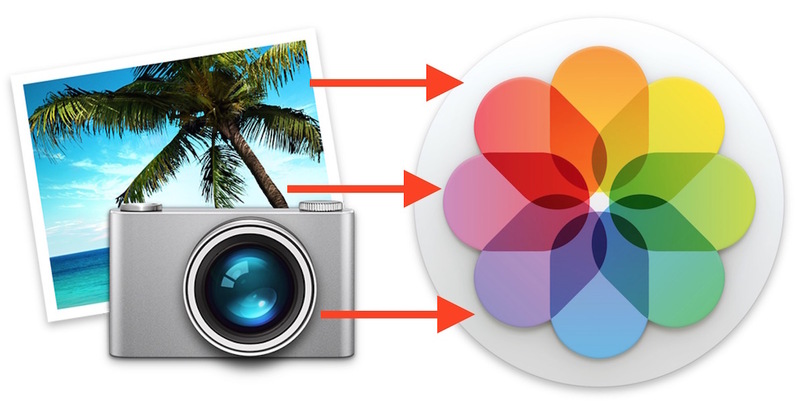 In this application you can merge and switch between iPhoto libraries. They also produce PowerPhotos https://www.fatcatsoftware.com/powerphotos/ which I am now going to use to manage (and perhaps merge) some of my multiple Photo libraries I have now created. I hope this all works – it seems to I am halfway through the conversion!